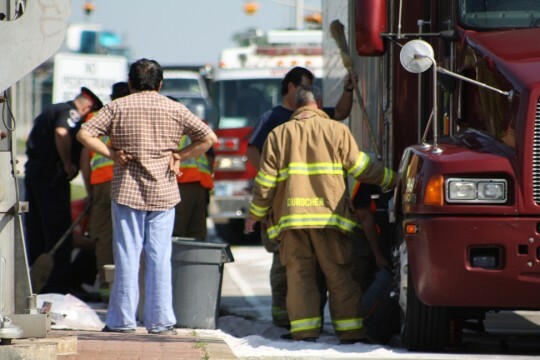 A firefighter pours excess diesel into another garbage bin. Photos by Aric Aczel. Flame retardant "Zorball" powder coats the roadway. Firefighters had to radio in for extra powder since there was so much fuel leakage. An Essex Terminal Railway train slowly passes by the scene, narrowly missing the tow truck. 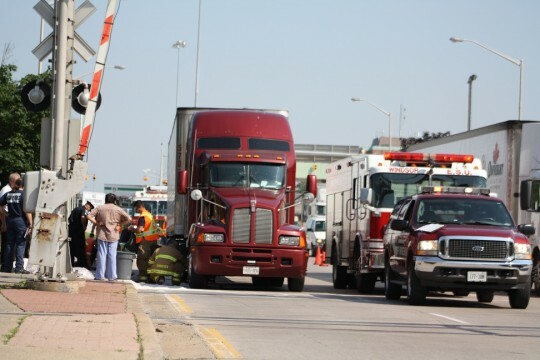 A tractor-trailer punctured its fuel tank while clearing Canada Customs around 9:40am. It continued driving southbound on Huron Church and finally stopped just before the Essex Terminal Railway Tracks near College Avenue. Diesel continued to gush out of the one inch puncture hole onto the roadway. Firefighters converged on the scene and put a bucket underneath the spill. The fuel continued to pour out so then they started collecting it with larger size garbage cans. 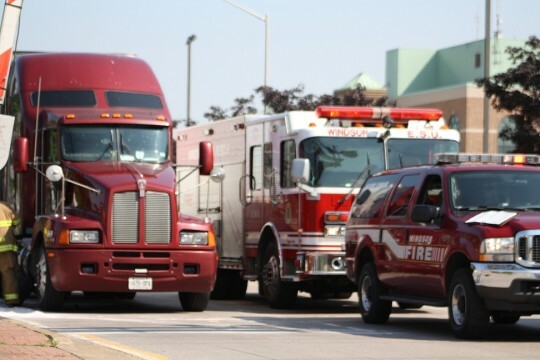 The HazMat Team was called into assist and Windsor Police were called for traffic control. Coxon’s Towing arrived on scene to tow the truck around 10:30am. 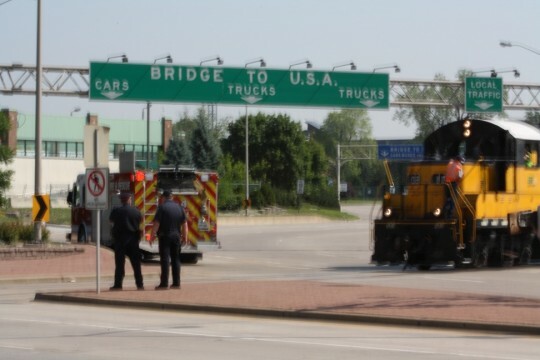 A train came down the railway and the tow truck had to move to avoid being struck.